Dubai World Cup: Will the Dirt Track Renaissance Affect the Shoeing for the World's Richest Race? It's early morning in Dubai. Meydan Racecourse is preparing for a big day culminating in the world's very richest race. And the favorite is an American horse. Normally, there wouldn't be anything unusual about that. The race has been won by American stars like Cigar, Silver Charm and Animal Kingdom. But last year, no American contenders were in the race. Many people believe California Chrome is the favorite because his feet are used to flying through dirt. The other horses' hooves haven't done it, nor have the horses had dirt kicked in their faces. Could they be right? 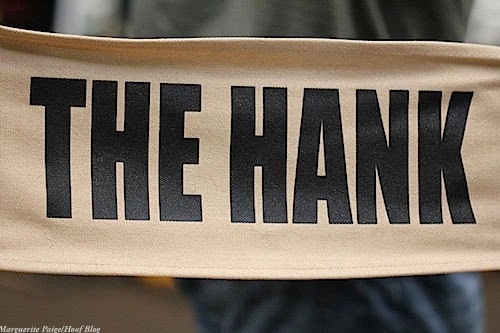 You probably thought you'd be reading the Hoof Blog's tribute to Hank McEwan by now. Words don't come easily, but Wednesday should be the day. 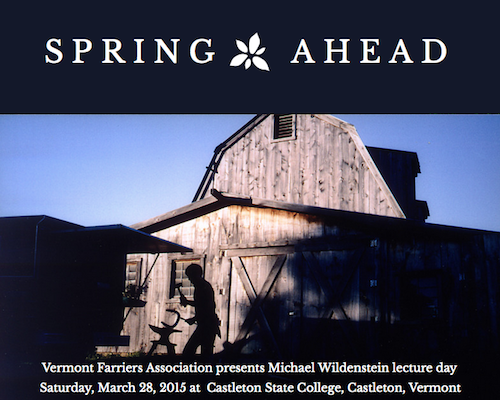 The Vermont Farriers Association invites you to an all-day lecture with farrier educator Michael Wildenstein, CJF, FWCF (Hons) on Saturday, March 28 in the Old Chapel at Castleton State College in Castleton, Vermont. This is the latest chapter in the Hoof Blog's series on the history of hooves vs. snow and ice. 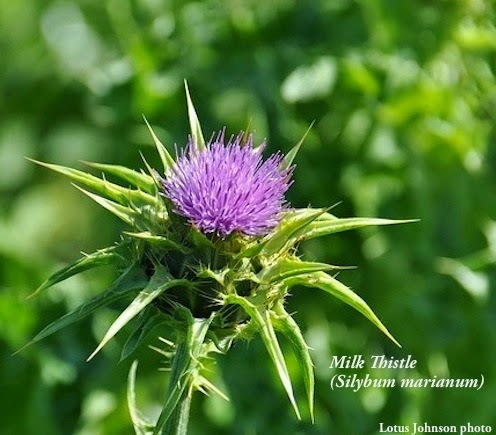 To read other articles in this series, scroll to the bottom of this article for links. When Harry Weed invented snow chains for automobile tires in 1904, he was just following a trend. He had seen people wrap grapevines and ropes around their tires. There was a lot of snow where he lived in Canastota, New York and Harry understood that for people to use cars year round there, they needed more traction. He patented his invention and, as they say, the rest is history. Steel tire chains based on his principles are still in use today. 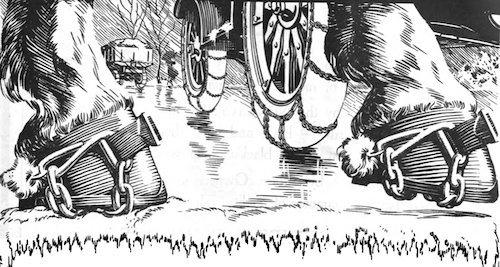 And when horsemen saw automobile owners wrap Harry's steel chains around their car tires, they thought it should work if they wrapped smaller chains around their horses' hooves on snowy, icy roads. A clever Massachusetts veterinarian was waiting in the wings with a hoof strap that held chain links to the bottom of a hoof. You could strap it on and take it off without removing the shoe. It promised to keep horses on their feet and working, no matter the weather. But would it? And what would horseshoers think of it? "Here come the hoof boot angels." That's what the people of New York might have said back in 1919, and for many years after that, when they saw Harry Moran from the Humane Society or Mrs. James Speyer from the Women's League for Animals coming down the street. 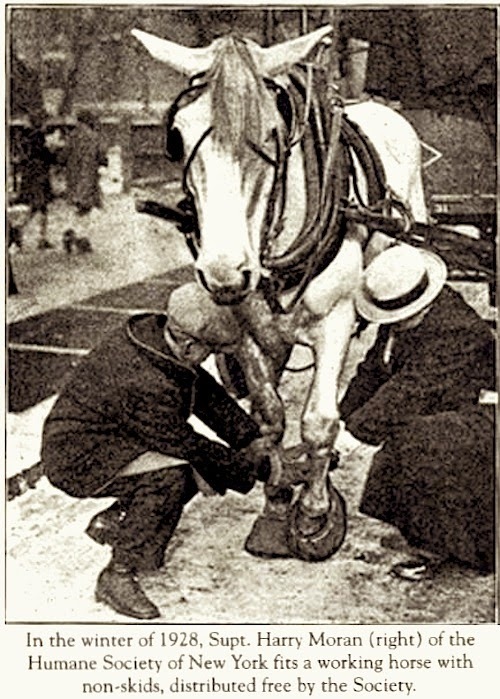 He had a bag full of canvas winter hoof boots for horses with him; they were called simply "non-skids". She would have boots made of carpet, or chain treads that clipped over a horse's hooves. 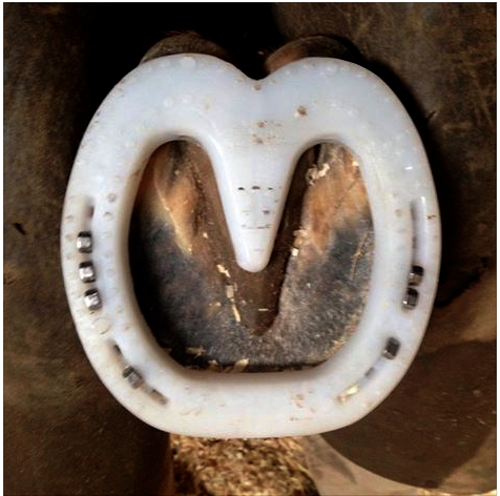 Both organizations gave safety hoof gear away for free to drivers and helped put them on over the horses' calked shoes. And then they went on to the next street to help more horses get through the a slippery, snowy winter on the streets of New York. I'd like to preface this article by asking you to pay no attention to it at all. As far as any of us are concerned, we live in a country with tremendous veterinary education and resources. But since you will surely hear about these rankings--and the change at the top--here's the news. White shoes. The first thing you wonder is if he has a girth to match, right? But Sire De Grugy is going after more than gentlemanly fashion this week when he puts his best feet forward to uphold his reputation earned last year, and his 2014 title as British Jumps Horse of the Year. He'll just do it with a little flash, and a lot less pain. Horses and Traction: Why Did Cities Have Cobblestone Streets? Why Did Traction Matter? A cobblestone street in Italy is paved with round stones; some sources say that a "cobble" originally meant a round stone. These look like old cannon balls. Were they put there to keep horses off the plaza or to help them? When newcomers get off the ferry on Nantucket Island and settle into a car, they are soon shaken up. They're expecting an idyllic entry to the old New England whaling town and tourist center. Instead, they rattle across a rough cobblestone street that will shake the fillings right out of your teeth. And the islanders like it that way. Even though they seem slick and tricky for today's horses, "modern", or flat, cobblestoned streets were a godsend to horses. And, as you might suspect, there's a hoof connection that holds this whole story together. Not your typical steer: Dudley has been through amputation surgery and now is learning to live with a prosthesis on his left hind leg, thanks to the charity of The Gentle Barn, a California charity. Listen to his surgeon at the University of Tennessee at Knoxville, Dr. David Anderson, describe the hows and whys of amputation surgery for cattle. Click the play icon in the center to start the video. You hear about a lot of rescue organizations and charities operating around the United States. It seems like one will have a “Hail Mary” pass moment and make the headlines. They’ll have their fifteen minutes of well-deserved fame. 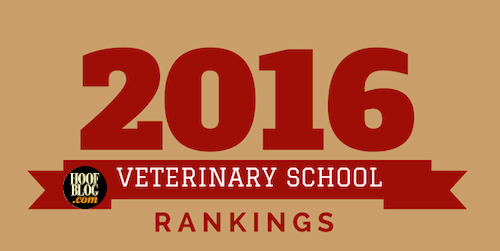 Lane A. Wallett, DVM is a Doctoral Candidate at the University of Florida in Gainesville. 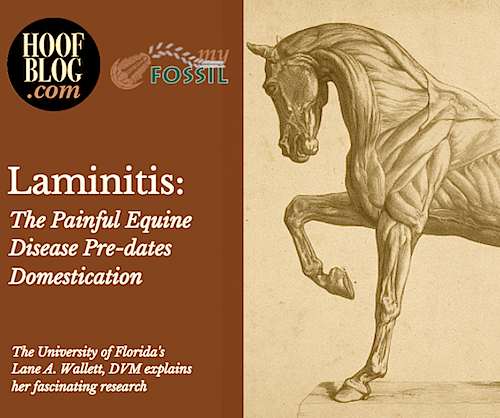 She presented an abstract on her paleontology research related to laminitis in the fossil evidence related to horses at the 2013 International Equine Conference on Laminitis and Diseases of the Foot. Everyone wanted to know how she came to research such a subject, and The Hoof Blog is very happy to share her story, in her own words. separation caused by endotoxin introduction. Click on the triangular "play" icon (bottom left) to start Dr. Hagen's video. The Hoof Blog is pleased to share with you the next video from the research of Dr. Jenny Hagen at the University of Leipzig in Germany. Today we share the biomechanics of the "side wedge" shoe, used to correct medial-lateral hoof imbalance, especially as identified and measured in radiographs. Dr. Hagen's video is sponsored by Werkman Horseshoes of The Netherlands. This video picks up from the previous videos from Dr. Hagen and Werkman (biomechanics of egg bar, heart bar, wide toe, wide-branch (asymmetric), and open toe shoes) posted in October and January.